A source familiar with Mesoraco's thinking said the catcher, who is 30 and has spent more than seven years in the majors, will not go to Triple-A. KISSIMMEE, Fla. — Told that he didn’t make the Mets’ major-league club, Devin Mesoraco decided Saturday to leave the team rather than report to minor-league camp. Mesoraco was among the Mets’ latest spring training cuts. Also reassigned to the minors were infielder Adeiny Hechavarria, outfielders Rajai Davis and Carlos Gomez, and lefthanders Ryan O’Rourke and Hector Santiago. 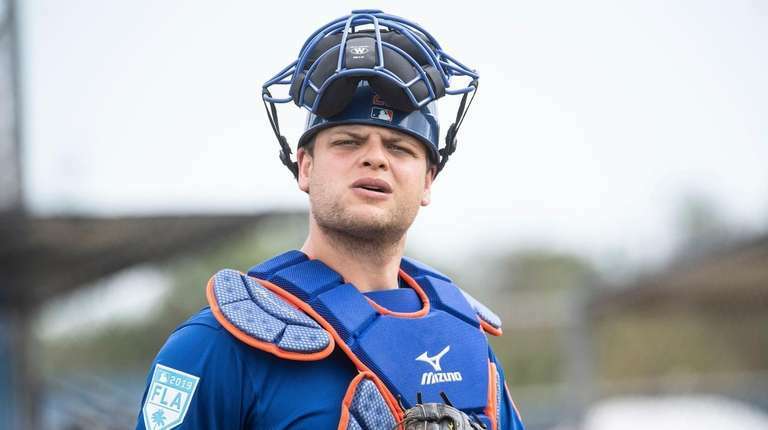 The Mets said Mesoraco was “reassessing his situation.” But a source familiar with Mesoraco’s thinking said the catcher, who is 30 and has spent more than seven years in the majors, will not go to Triple-A. He remains under contract — a minor-league deal — with the Mets, who are left with a decision: grant Mesoraco his release or put him on the restricted list. Mesoraco’s disappointment stems from pre-contract conversations with the Mets, which left him under the impression that he had two viable paths to breaking camp with the team: if Travis d’Arnaud (Tommy John surgery) wasn’t ready for the start of the season, or if the Mets carried three catchers. In the end, the Mets prioritized Tomas Nido over Mesoraco, even with d’Arnaud’s fate to be decided. General manager Brodie Van Wagenen declined through a team spokesman to comment. 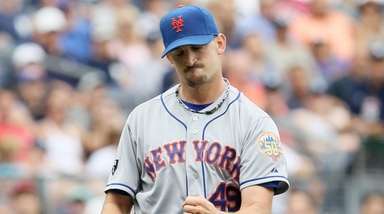 “We value defense behind there because of who our pitchers are and what they can do, and Nido gives them the best chance to succeed in our mind at this point,” manager Mickey Callaway said. He added he understands Mesoraco’s disappointment and isn’t surprised at his decision. 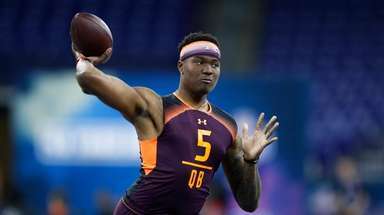 “We respect the hell out of Mes,” Callaway said. “It’s his prerogative to take care of him and his family and make the best decision for all of those involved. 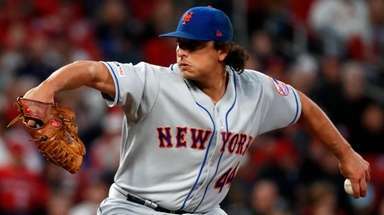 After joining the Mets from the Reds in last May’s Matt Harvey trade, Mesoraco developed a strong rapport with most of the Mets pitchers and became Jacob deGrom’s personal backstop, catching 21 of his 32 starts in his Cy Young season. DeGrom, who spoke to Mesoraco Friday night, said he’ll miss him. Saturday’s cuts bring the Mets’ roster decisions into focus as the team prepares to leave Florida Monday. There are 30 players left in camp, with four to be placed on the injured list: Yoenis Cespedes, Jed Lowrie, Todd Frazier and Drew Smith. Choosing d’Arnaud (injured list candidate) or Nido (Triple-A candidate) would give the Mets 25. * First base: Pete Alonso and Dominic Smith both appear likely to be on the team. 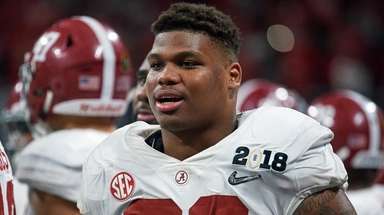 Callaway has said he isn’t sure how playing time would be split up. * Infield: Luis Guillorme (shortstop/third/second) and J.D. Davis (corner infield/outfield spots) seem to have won jobs, too. Guillorme outlasted Hechavarria, who has a similar defense-first skill set. Among the reasons to pick Guillorme is that he's cheaper and has had a stronger spring offensively. * Bullpen: Rule 5 pick Kyle Dowdy is the only remaining reliever among those who were competing for the last relief spot, though his presence on the Opening Day roster isn’t guaranteed. If Dowdy doesn’t make the team, he has to be offered back to the Indians. 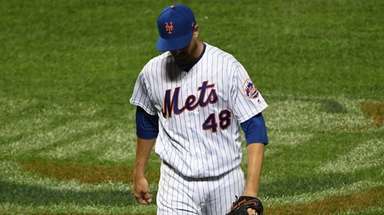 The Mets are free to make an external move for a reliever as other teams make roster cuts this weekend. That is true for all of these positions, but particularly the bullpen. Dowdy strengthened his case Sunday with four innings of one-run ball in a 12-2 win over the Braves. 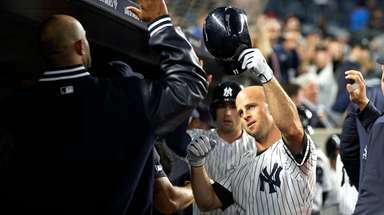 He allowed one run in seven innings over his past two appearances.